Last week I was looking through all my posts and thinking of new posts that I would like to add to the blog. I noticed that I have never shared my favorite sugar cookie recipe with you. Over the past few years I have baked up many batches of sugar cookie recipes until I finally got one that works for me! This recipe is inspired by two of my favorite cookiers: Sweet Sugar Belle and De Koekenbakkers. These two ladies are so amazing and so are their cookies! If you Google “sugar cookie recipe” thousands of recipes will pop up. But the real trick is finding one that works for you! I like this recipe for many reasons. First, because it’s baked longer than other recipes and so the cookies are a bit crunchier! Second, they don’t tend to spread like other sugar cookie recipes. Third, they have a nice taste of vanilla because I incorporate vanilla extract and vanilla bean paste. And last but not least, the recipe calls for powdered sugar which makes the cookies nice and smooth. This cookie recipe has the perfect amount of sweetness and the cookies also come out great for decorating with royal icing! I like to roll out my dough using the Joseph Rolling Pin. I’ve had this rolling pin for years and it works great for cookies! Because I use powdered sugar instead of granulated sugar the dough is smoother! I like to bake my cookies until they have beautiful golden edges. This helps the sugar melt and create that lovely crispiness! Let me know how you like this recipe and how your sugar cookies turned out! Also, if there are any recipes that you would like me to make, leave a comment below. In the bowl of a stand mixer cream the butter and powdered sugar on low speed with the paddle attachment. Add the egg, vanilla extract and vanilla bean paste and mix until incorporated. Next, add the all purpose flour and salt and mix until the dough releases off the sides of the bowl and forms into a ball on the paddle attachment. Remove the dough from the bowl and divide the dough into two pieces. 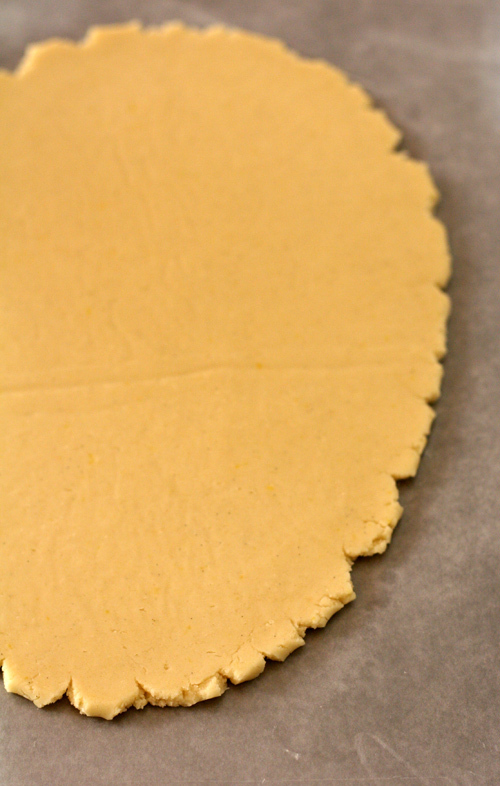 Place one half of the dough on a sheet of parchment paper and form the dough into a disk. 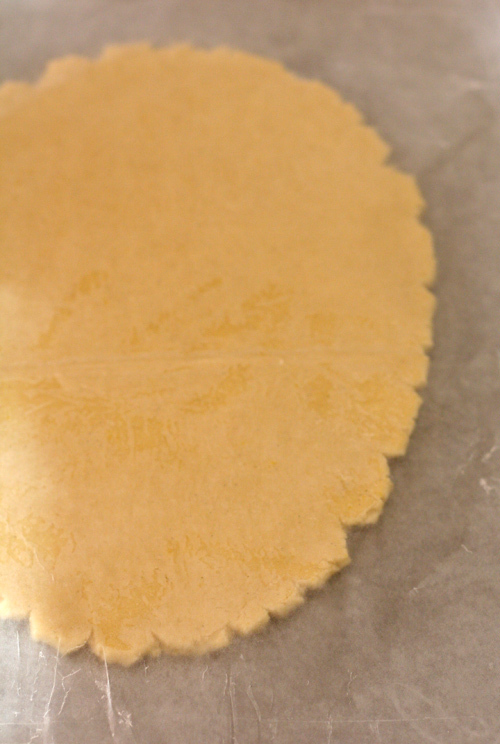 Put a sheet of parchment paper on top of the dough and roll it out with a rolling pin. Place your dough on a cookie sheet and put it in the refrigerator for 2 hours. 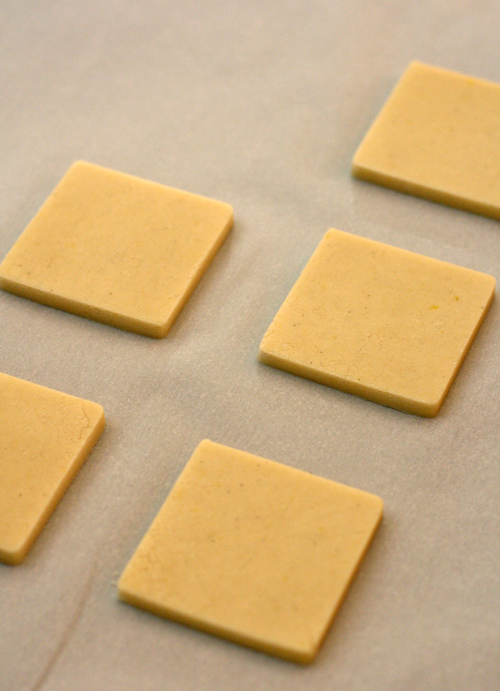 After 2 hours, preheat the oven to 320F remove the dough from the refrigerator and cut out your cookies using a cookie cutter. 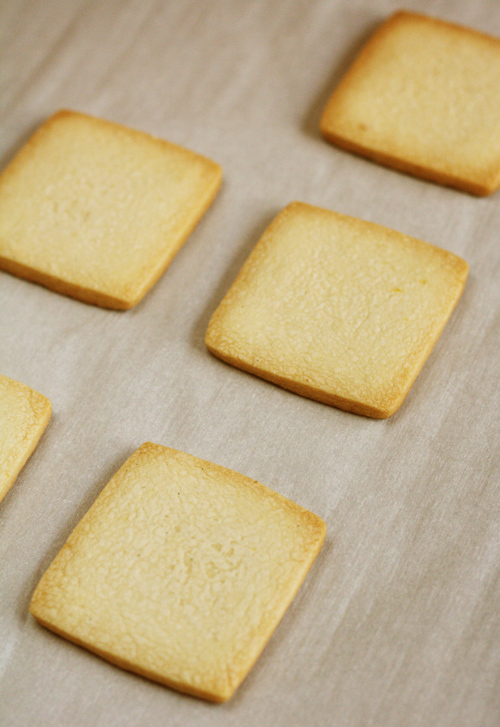 Place the cut out cookies on a cookie sheet lined with parchment paper. Depending on the size of the cookie bake the cookies for 10 - 15 minutes. Remove the cookies from the oven, wait 5 minutes before transferring them to a cookie rack to cool. When I roll out my dough I like to roll it out in between two sheets of parchment paper. By doing this the dough doesn’t stick to the counter or rolling pin. Always place the rolled out dough in the refrigerator and then cut out the cookies. It's easier to cut out the cookies once the dough hardens. 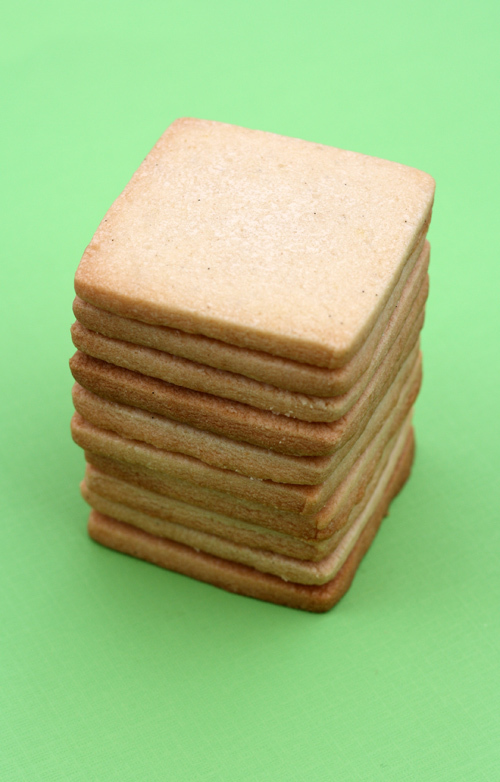 The edges of the cookies also maintain their shape better by doing this. Once the cookies are cut out I like to place them back in the refrigerator. This helps stop the cookies from spreading and maintains their shape. Baking the cookies at a lower temperature around 320 - 325F helps them maintain their shape. When baking cookies make sure you combine the same size cookies on one baking sheet this will ensure that they all bake at the same time. I like to roll out my dough using the Joseph Rolling Pin using the 6 mm disk.